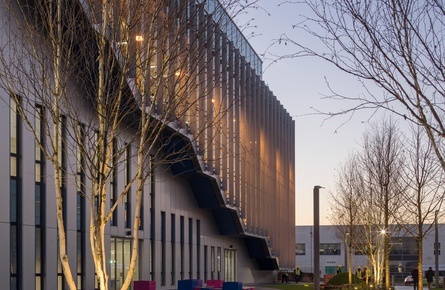 BSkyB Believe in Better Building (BiBB) has won another award. 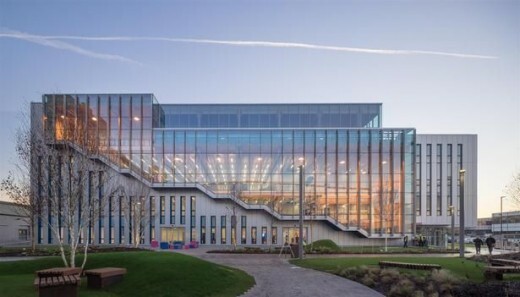 Arup Associates were presented with the ‘Judges Special Award’ for this outstanding building as recognition of its reflection on Sky’s sustainable aspirations. The night saw the ultimate selection of this year’s leading innovators in wood design (link – http://woodawards.com/shortlist-2015/). The annual event celebrates outstanding craftsmanship and design in the use of this natural and sustainable material. 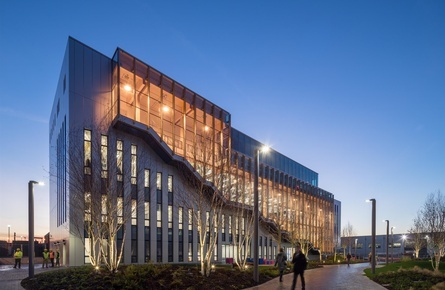 According to Arup Associates, “Sky’s new Believe in Better Building, is an office and training facility with a clear social idea based around community focus, designed to enhance the wellbeing of the users. The super-flexible offices can be converted to interactive classroom environments for training and creative-thinking, or cleared to create sizeable corporate event spaces. The interiors are fresh, natural and fun, packed with state-of-the art IT, expressing a dynamic and social culture, where break-out and social space is as important as desks. The aim of the project was to provide an inspiring exemplar of construction delivery and sustainability. 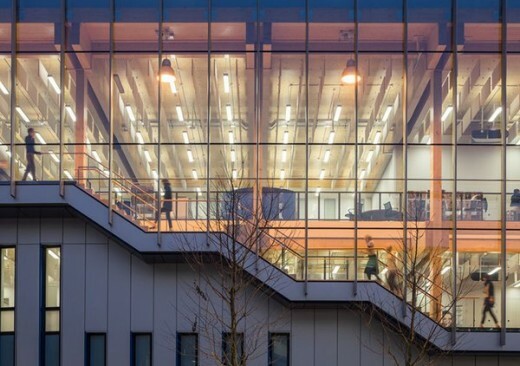 Arup Associates’ Unified Design approach has delivered the UK’s first multi-storey timber commercial office, in a project programme of one year from inception to practical completion. The sequestration of carbon in the frame creates a building that goes beyond zero embodied carbon. The low-energy servicing strategy is integrated seamlessly into the building design, allowing the timber frame to be displayed in all its glory. 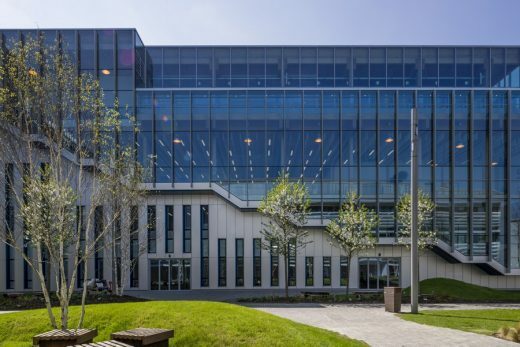 BSkyB’s educational facility is the first in a series of initiatives using the power of television, creativity and sport to help young people achieve their potential by gaining the skills, experience and inspiration needed to help prepare them for the world of employment. 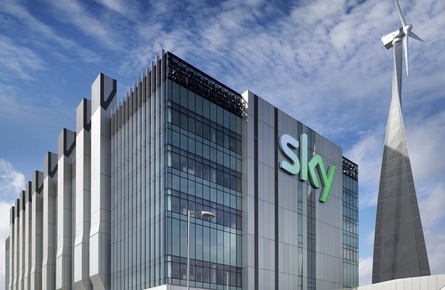 The objective of the project was to construct a low energy structure within a short time period in time for Sky’s 25th Anniversary. Mace appointed B & K Structures to design, manufacture and install an optimised hybrid structure for the build – comprising a glulam frame with cross laminated timber (CLT) floor, roof and stability walls, together with perimeter wall cassettes. The structure was designed to deliver permanent quality, adaptability and long term energy efficiency, to meet the sustainability objectives. Sky’s own sustainability strategy shaped the building philosophy. An engineered timber industrial system was specified as it allows for rapid assembly and offers excellent airtightness through insulated panel facades. The solid timber frame was able to meet the natural look and feel that Sky required and timber cassettes offer a rapid build system with low thermal resistance and high airtightness that the structure demanded to meet the challenging design brief.